Venturer 2.5L H20 Water Pack Black | BUDK.com - Knives & Swords At The Lowest Prices! 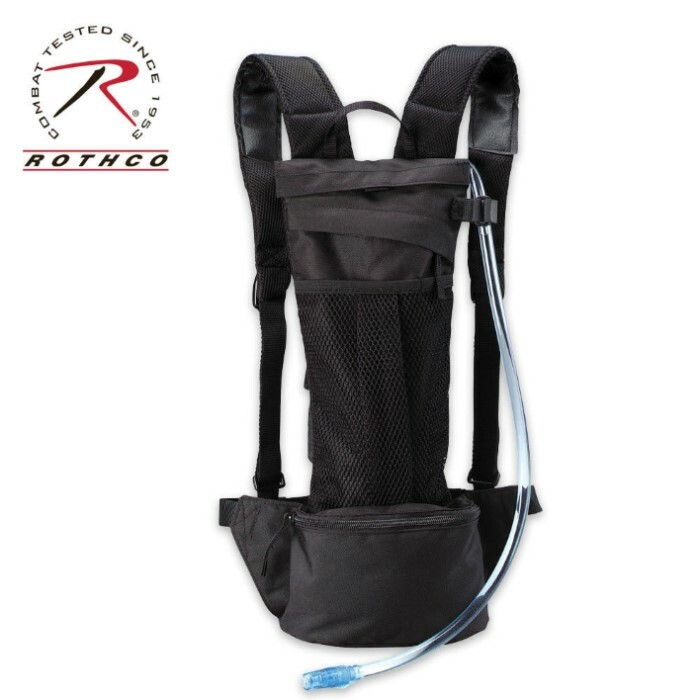 Venturer Hydration Systems, is a Rothco exclusive name brand product.This model features a spring-hinged bite valve, detachable hose, easy-fill bladder, 600 denier polyester construction, nylon lining, padded mesh back, vinyl-lined padded adjustable shoulder straps, waist straps, top carry handle, YKK zippers and buckles. Measures approximately 18" x 7".